Welcome to 2017, from P&O Ferries blog. We’re going to discuss why the best way to kick start your year is to plan a trip to Belgium with our Hull to Zeebrugge service. January blues are a common discussion this time of year. Festivities are well out of the way, in fact a whole year away now, there’s a good long slog until summer in which a fair portion of the population will be desperately trying to make our ever-exasperating bodies somewhat presentable. Nevertheless, while we are still in the cruel cold palm of winter let us turn it to our own advantage. Instead of struggling with self discipline focus on what’s to come for the year, make exciting plans to look forward to and perhaps you’ll be able to reignite the embers of festive levity to see you through the January lull. Holidays don’t always have to mean sun, sea and sand however if it is just not a holiday for you without a coastal walk we have a rather unconventional choice. A North Sea holiday in January doesn’t sound like the greatest beach vacation however Ostend has much to offer the more discerning traveller. As a ‘crossroads of Europe’ Belgium has historically been viewed a country of significance, not just strategically but also diplomatically and culturally. However, it can be said that Ostend has waned a little since the heady days of the 19th century when Kings would holiday there with entourage of the aristocratic elite in tow. What has been left behind, and survived an occupation or two, is some truly remarkable architecture. Visit the Atlantic Wall Open Air Museum to experience a bit of modern history. The Royal Galleries constructed over a century ago to allow the monarch passage from the beach to the Wellington Hippodrome, a marvellous race track renovated in 2010, however you will have to wait until the end of June for the races to begin in earnest. 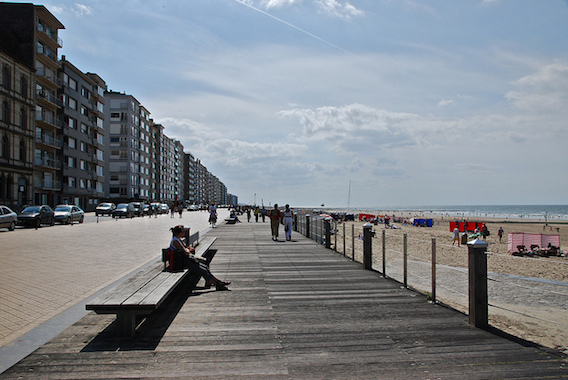 What should really draw you to Ostend is the fact that it is the off season. This city is home to some of the finest sea food restaurants in the country, accommodation costs will be down, the local populace will be returning to their work routine so you will be less encumbered by crowds and tourist focused areas will be beaming to have you there. We have said it before Brussels is a fantastic city to visit during the winter. You may have missed all the Christmas larks but if that isn’t your thing anyway there is plenty to see and do in this hub of Europe and with heaving political shifts sure to take place in 2017 it may be best to get a look in at Brussels before travel gets more complicated. Chocolates on Valentine’s Day may sound a bit cliche but if you know your partner, or perhaps just you, is a bit of a fiend then where better to go than the spiritual home of chocolate for a romantic break. You’ll also be that much closer to Paris if you want to make the journey, or simply take a P&O Ferry from Dover to Calais. 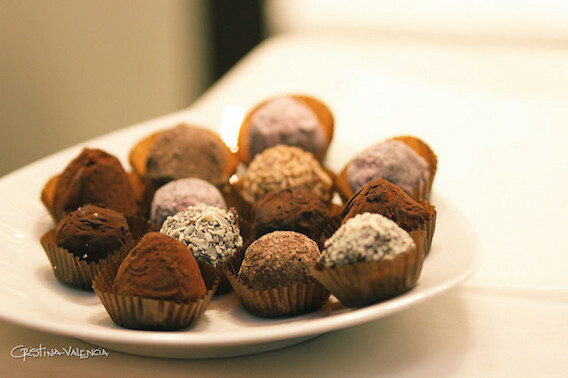 We recommend Brussels for your romantic Valentine’s day because from 10th to 12th of February the capital city will be hosting Belgium’s Chocolate Fair as was held in London last autumn. This showcase covers the weekend before Valentine’s day in Brussels’ exhibition hall. You’ll be able to pick up a gift or perhaps have a fun day viewing the artisan stalls and getting a couple free samples. If you head to Belgium before March 5th the Fine Arts Palace, or BOZAR as it is lovingly called, will be displaying a 60 piece collection of Picasso sculptures on loan from Paris. Certainly something not to miss as a great number of tourists visit France for Picasso but less so Belgium giving you a greater chance to get a good look in. Admission price is €18. Belgium is also famous for its beers and this February 4th and 5th will be hosting the Bruges Beer Festival downtown in Market Place. Always a fun event that doesn’t get quite so messy as some beer festivals (we’re looking at you Oktoberfest!). The history of brewing Belgium dates back centuries making events such as these excellent for those who get more inquisitive the more they have to drink, perhaps there’s already a word for it but we’ll go with inebro-curious. For full information on this event click here. 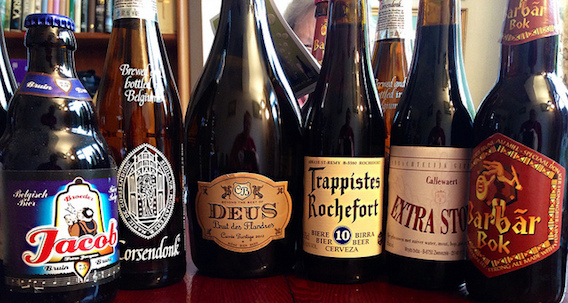 Entry to the Bruges Beer Festival is free but you’ll want to sample the goods. In order to do so you purchase tokens exchangeable for a 15 cl taste of whichever beer or ale you fancy. Tokens cost €1.80 but you can buy a single package deal that comes with 5 tokens, a complete guide to the event and 2017 Bruges Beer Festival pint glass for €15. If you are going with a friend or partner a double deal costing €30 grants you 11 tokens, 2 glasses and the guidebook. This event is catered but we do strongly advise you book accommodation in advance and ensure you’ve got the travel to and from the event sorted in advance, though we’re sure the good people of Bruges will help you should you need it. We wish you well in all your endeavours for 2017 and hope to see you on P&O Ferries crossings from Dover to Calais and Hull to Zeebrugge or Rotterdam.